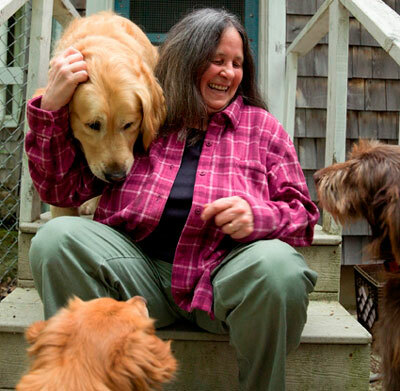 Ellen Cooney talks about her newest novel, The Mountaintop School For Dogs. It’s a mystery about an unusual and redemptive rescue operation. We also replay our conversation with animal behaviorist Vint Virga about his book, The Soul of All Living Creatures: What Animals Can Teach Us About Being Human. We use the word “humane” to describe behavior that is compassionate and caring. But maybe we should use something like “canane” instead or, yes, even “felane.” Because, can we really hold up humans as exemplars of such behavior? 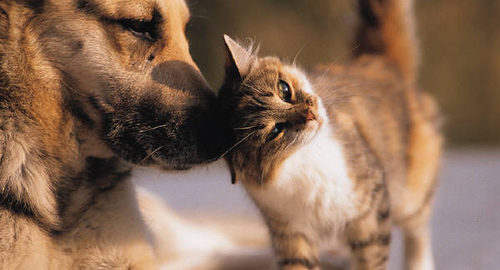 Maybe we need to act more like our companion animals act toward us. If more of us treated them as well as they treat us, we’d have a lot fewer traumatized, abused and neglected animals. We also might have fewer traumatized, abused and neglected humans. 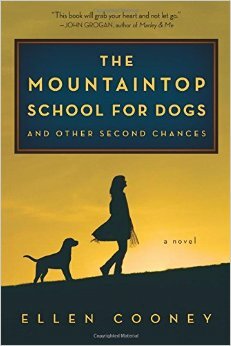 Ellen Cooney ponders these questions in her new work of fiction, The Mountaintop School For Dogs And Other Second Chances. Wrapped within a kind of mystery novel is an exploration of our relationship to the animals who share our lives. What happens when things go wrong, either through misunderstanding or evil intent? Cooney’s protagonist is a young woman who has been through some traumas of her own. Answering a mysterious ad in the paper, she finds herself in the midst of a unique rescue operation for abused dogs. What she learns there not only changes the lives the animals she has come to help, but her life, as well. Ellen Cooney is the author of numerous previous novels, including Lambrusco, which we spoke about with her in 2008. She lives in Maine with her canine companions. We love our cats and dogs and thrill to the sight of wild animals. But we tend to forget that we are animals ourselves — and thus share our fragile planet with what are really our cousins in the animal kingdom. Veterinary behaviorist Vint Virga says that other animals have much to teach us about being human — not just the biological traits we share, but also other qualities like resilience, compassion and being present in the moment. 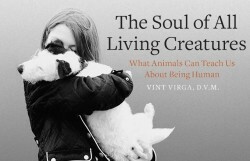 Virga draws on his 25 years of working with both domestic pets and zoo animals to explore these themes in his thoughtful and moving book The Soul of All Living Creatures. Vint Virga has appeared as a featured guest on ABC World News, PBS Nature, and National Geographic Explorer. He is one of only 61 behavioral veterinarians in the US. The Soul of All Living Creatures won a Nautilus Book Award in 2014.